Before we launched the website to the good people of Bearsden and Broomhill (and the surrounding areas) we thought we had better ask some folk to try the site out and for us to make sure we were on the ball with delivery. One comment that came back from a self-confessed supermarket meat shopper was, ‘don’t you get a longer date on the mince?’ We give a two-day date on mince, three days on meats and sausages and a week on cured products. So, why is that? What we do to it. Our meat is matured for longer than a supermarket! Where the meat minced by us will be at least ten days (and more likely fourteen days) old, a supermarket’s mince will be from meat that’s no more than a couple of days old. Equally, our roasts and steaks can be thirty days old because we mature longer on the bone to develop a deeper flavour. 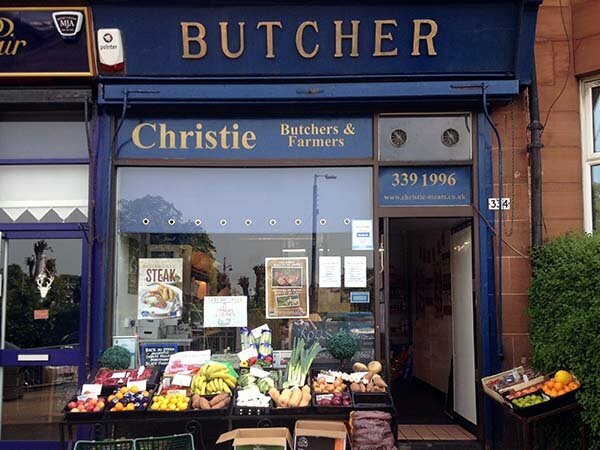 The supermarket practice is perfectly understandable – our mince journey from mincer to sales counter is about four and a half feet in the Bearsden shop and fifteen feet in Broomhill and takes a maximum of five seconds. Supermarket mince has to be minced in a factory, packed, stored, dispatched, transported, unloaded, displayed; a journey of at least a day and probably an average of a hundred plus miles. Supermarket meat is also packed in a protective atmosphere – that means that the air in the packaging (remember from school science classes it’s a mixture of nitrogen, carbon dioxide, argon and oxygen) is removed and replaced by a mixture of gases where the oxygen level is reduced to preserve the meat for as long as possible. We also, on average, have less fat in our mince. Supermarket mince will be anywhere between thirty and ten percent fat, although some leaner minces are starting to be offered. Fatter mince will, other things being equal, last longer than leaner mince. The other factor is what we do to our mince. Our mincers are just larger stand-alone versions of the ones available to the domestic consumer that fit the front of mixing machines. We select the meat for mincing – mostly shoulder with trimmings from the steaks and roasts that we cut – that’s why it’s called steak mince – and mince it and then mince it again. Mincing does increase the temperature of the meat, that’s why we chill it straight after mincing, and that temperature change will shorten the product life – marginally, but it does have an effect – but it also explains why our mince, when cooked is a different consistency to supermarket mince. Some years ago I had the opportunity to tour a meat factory that produced supermarket mince. It was eye-opening. Our mincers are just larger stand-alone versions of the ones available to the domestic consumer that fit the front of mixing machines. We select the meat for mincing – mostly shoulder with trimmings from the steaks and roasts that we cut – that’s why it’s called steak mince – and mince it and then mince it again. Mincing does increase the temperature of the meat, that’s why we chill it straight after mincing, and that temperature change will shorten the product life – marginally, but it does have an effect – but it also explains why our mince, when cooked is a different consistency to supermarket mince. Some years ago I had the opportunity to tour a meat factory that produced supermarket mince. It was eye-opening. The mincer was so big that I didn’t recognise what it was. It was also Y-shaped, which threw me a little. Into one end of the Y goes the meat, and into the other the black plastic granules that make the packaging. The meat was very near freezing point and minced once under pressure, which explains why it keeps its distinctive ‘wormy’ (sorry, I can’t think of another word to describe it) shape. It’s then passed up a chilled Archimedes screw and dropped down a chute where it’s blasted with nitrogen gas to chill it quickly, portioned and put into the trays (which the mincer has also made!) before being gas flushed to extend shelf life and sealed and labelled. All this is necessary since the mince on the shelf takes at least a day from mincing to sale and they can’t send a lorry every time mince stocks are looking a little low. 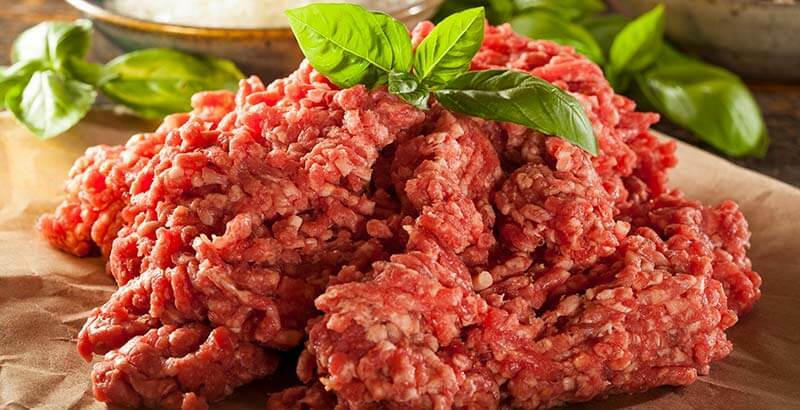 These, then, are the reasons our mince has a shorter shelf life than supermarket mince. We believe the taste and texture more than make up for it and mince suffers nothing from freezing – and all of our products are suitable for home freezing. If you would prefer your mince with a little more fat, minced once, or anything else for that matter then drop us a note through our shopping list facility and we’ll sort it out for you as well as delivering to your door or having it ready for collection. If you have any questions and or comments then add them below. 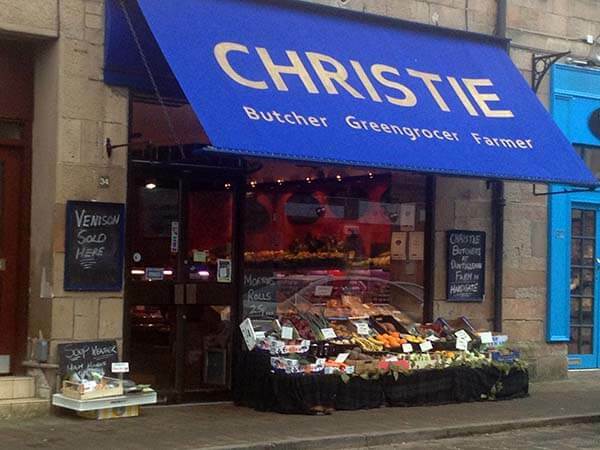 With farming and butchering in the blood (his granny made him his own wee butcher's apron when he was five and he had to muck out pigs before going to school), it was only a matter of time before he joined the family business. Over ten years in now he's passionate about the local high street and how technology is giving it a new lease of life.